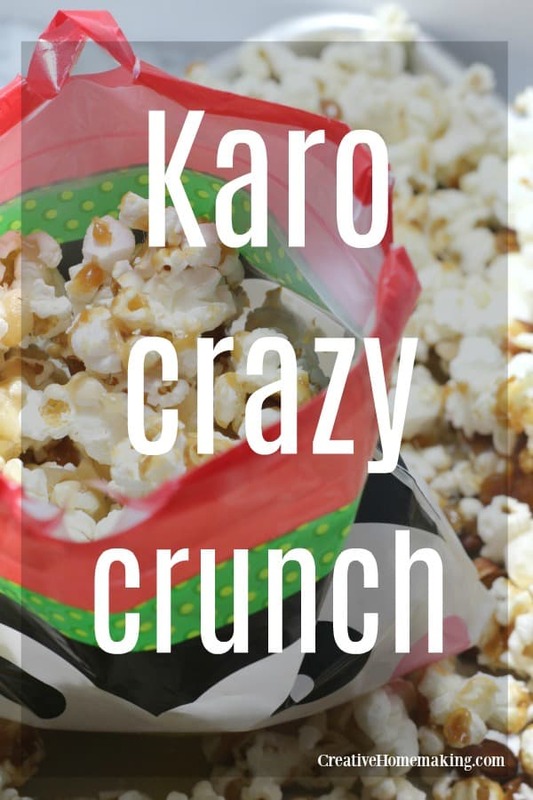 You might be wondering what in the world is Karo Crazy Crunch? Or like me, the thought of it will bring back a pleasant memory from childhood. I was recently going through an old cookbook that my elementary school put together about 40 years ago. As I was flipping through the pages I ran a cross the recipe for crazy crunch. Crazy crunch is basically homemade caramel corn with nuts added. My husband compared it to Fiddle Faddle. Whatever you want to call it, it is amazing, and surprisingly easy to make. 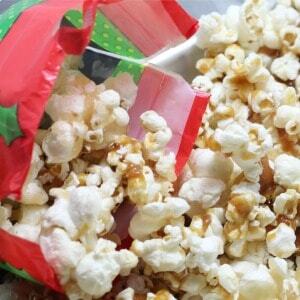 After doing a quick Google search for “crazy crunch” I discovered this recipe is also known as “Karo crazy crunch” or “caramel crunch.” I’m guessing that is because Karo syrup is the most common brand of corn syrup, and this caramel is made with corn syrup. The key to getting this recipe right is having a candy thermometer. You need to get the caramel to the correct temperature but don’t want it to burn. It is hard to achieve that perfect caramel without a candy thermometer. Combine sugar, butter, and Karo syrup in a small sauce pan. Bring to a boil over medium heat, stirring occasionally for 10 to 15 minutes, or until mixture turns a light caramel color (290 degrees F on a candy thermometer). Remove the pan from the heat, and stir in the vanilla extract. Place the popped popcorn and nuts on a cookie sheet. Pour the caramel syrup over the top of it. Toss the popcorn with two spoons until popcorn and nuts are well coated. Spread out to dry. 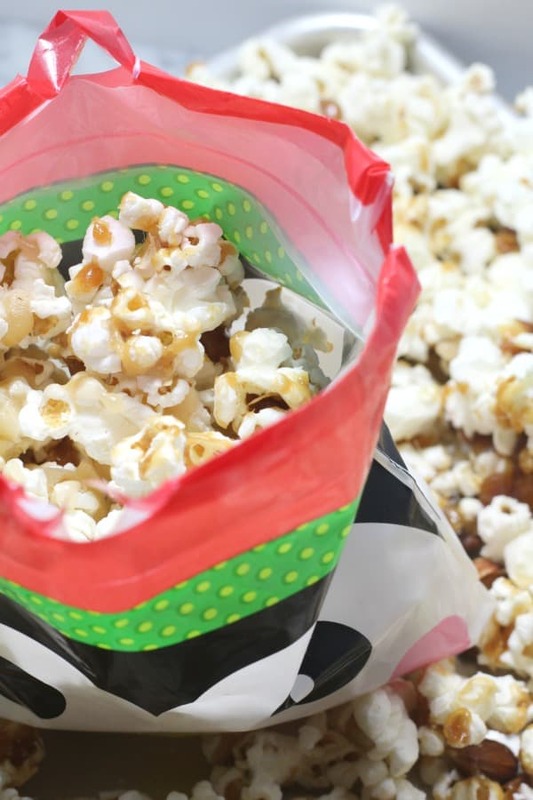 When the popcorn is completely cooled, break it apart and store in a covered container. Like this recipe? You might also like my recipe for English toffee or this recipe for three ingredient fudge.